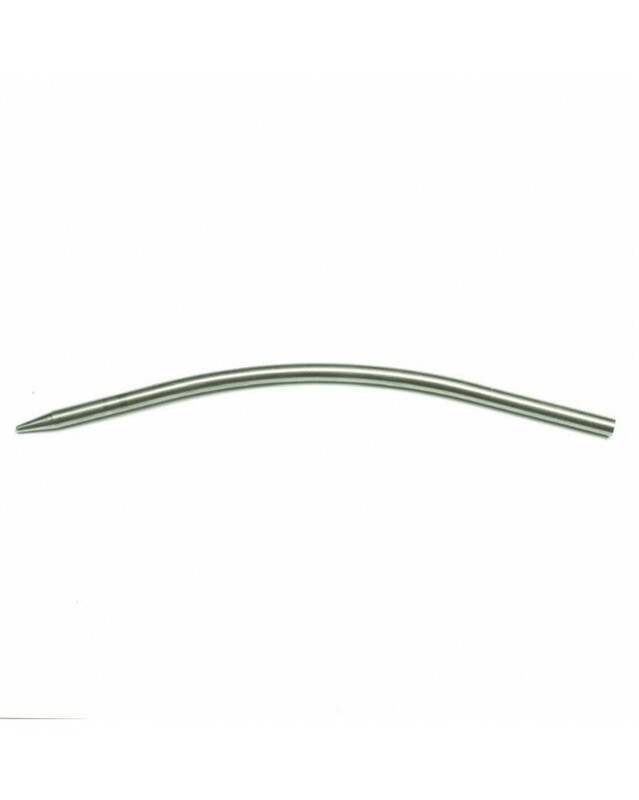 6" stainless steel, round-end curved 550 paracord lacing needle. The back end of the paracord lacing needle is hollow and threaded to securely hold the paracord. 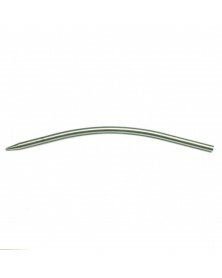 6" stainless steel, round-end curved paracord lacing and stitching needle, also known as a "fid". The smooth, round-end prevents the needle from snagging as you weave your paracord project. The back end of the paracord lacing needle is hollow and threaded to securely hold the paracord. To attach the lacing needle to 550 paracord, simply melt the end of your paracord with a lighter and form it into a point before it dries. Then you can twist the hollow end of the fid/lacing needle onto the paracord. The threads inside the fid will bite into the melted end of the paracord and hold it securely. I love this and wish I would have bought my first one much sooner. It makes working with paracord much easier, especially if you have arthritic hands! !